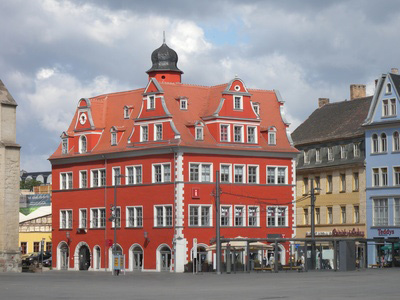 Market square, Halle an der Saale. State capital and chemical powerhouse under the GDR, Halle is a clashing mix of graceful historical buildings and modern eyesores. The city's name derives from the Celtic word for salt, and Halle's saltworks operated for over 1000 years until 1869. 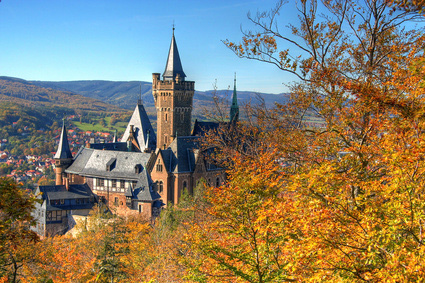 As the birthplace of Georg Friedrich Händel, Halle host the annual Handel Festival. 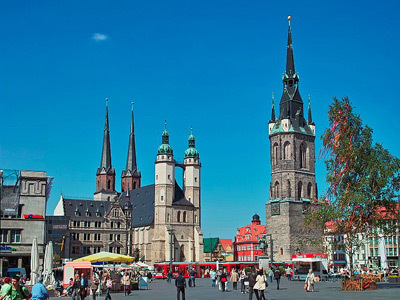 The main sights are the Market Square, Handel House, the Saline Museum, Giebichenstein Castle, Moritzburg Castle (housing an art gallery), the 16th-century New Residence, and the unexpected Beattles Museum.